Things were different back then. Since money was often tight, people tended to make-do with what they had, instead of going out and buying it. It's almost like they lived by this New England proverb as a mantra: Use it up, wear it out, make it do or do without. Do you know someone who took the time to re-purpose pails? Syrup pails, paint pails, any kind of pail, really. I had a grandma who couldn't see a perfectly good pail go to the nuisance ground, so she gave them a new life. She turned paint pails into practical works of art. Grandpa must have helped her cut off the top ridge. 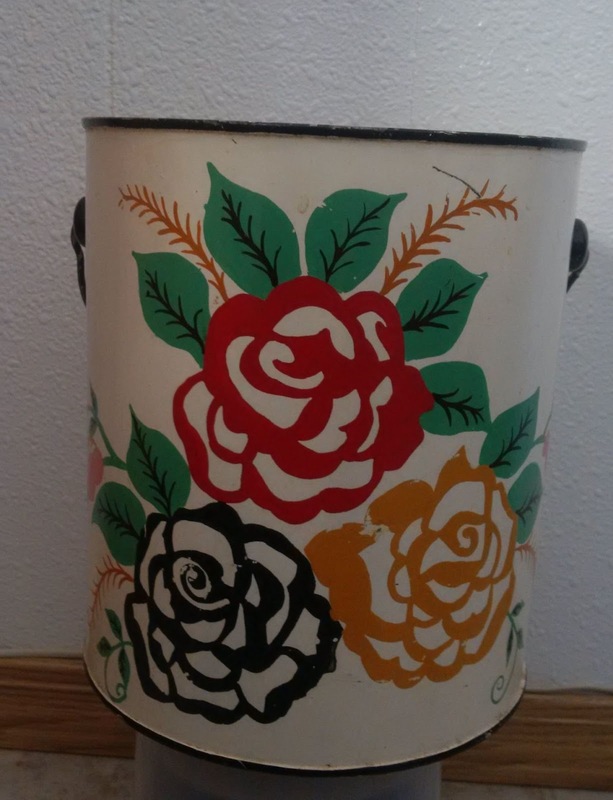 Finally grandma added her own creative touch: After applying a coat of paint to the outside of the pail and allowing it to dry, she added the pretty floral design. These pails were used as knitting 'baskets' or to store stuff in. The pail featured here is one my Grandma Anna gave to my Grandma Susie. She used it as a knitting basket for many years. After she passed away, my aunt had it for a while. I'm not sure what she used it for, I'm guessing for some hobby like crocheting. Then it was passed on to my sister, Joanne, who uses it for knitting, just like grandma did. There's something to be said about reusing things, instead of going out and buying them. I know, with places like Dollorama we all seem to think it's not necessary. But now and then we should borrow a page from our grandparents and let our creativity go wild with re-purposing something you are tempted to throw out. 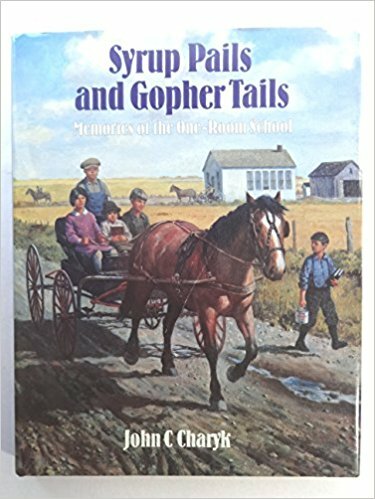 When I see grandma's pretty pail, it reminds of a book we had in our school years ago: Syrup Pails and Gopher Tails: Memories of the One-Room School. During those one-room schooldays, children brought their lunches to school in syrup pails. Does syrup ever come in pails nowadays? 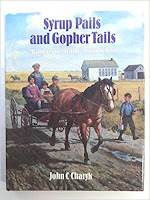 How about you, any syrup pail tales in your family? I'd love to hear them! 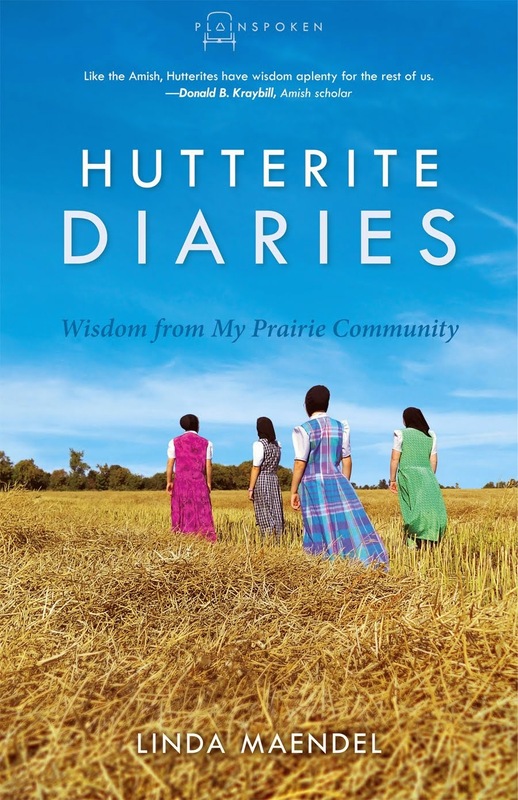 Thanks for stopping by my blog and for sharing your thoughts!! This blog was started March 29, 2011. Glad to have you visit my blog! Thanks for publishing my work!